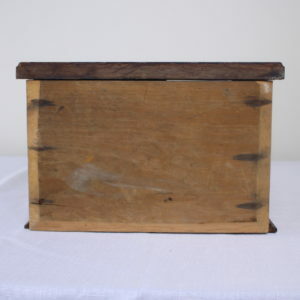 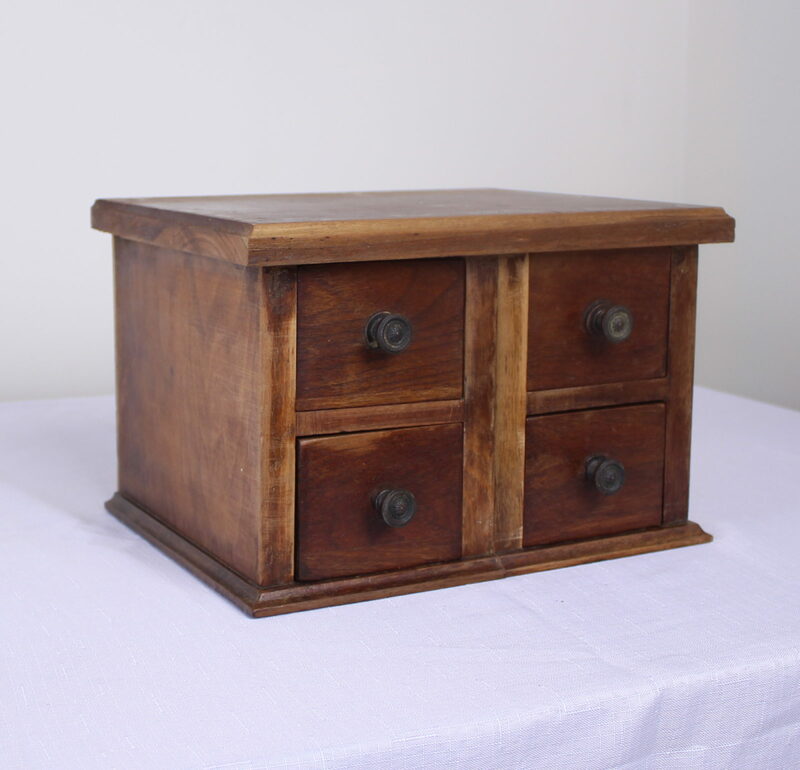 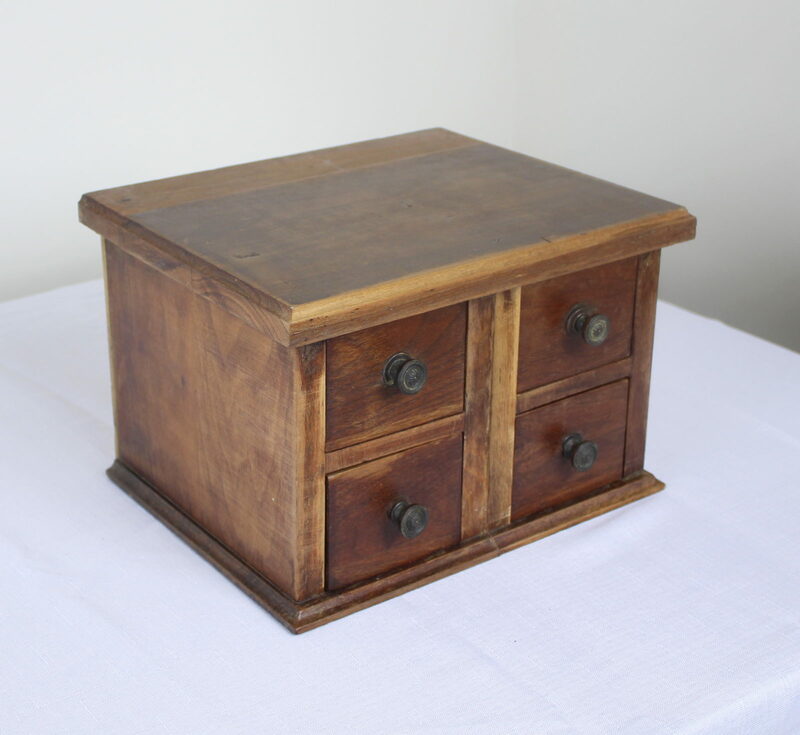 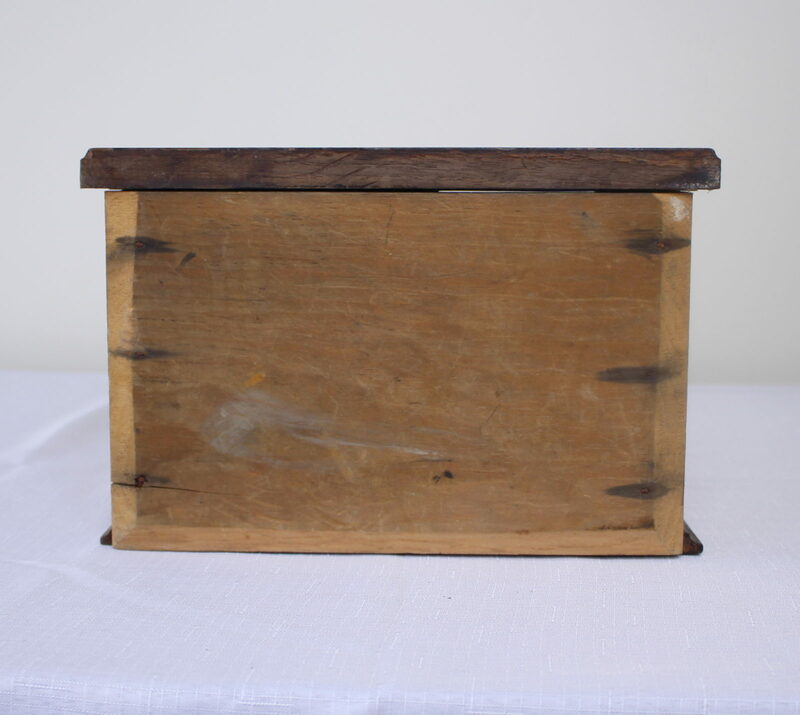 A solid and well constructed four-drawer box, both attractive and highly useful. 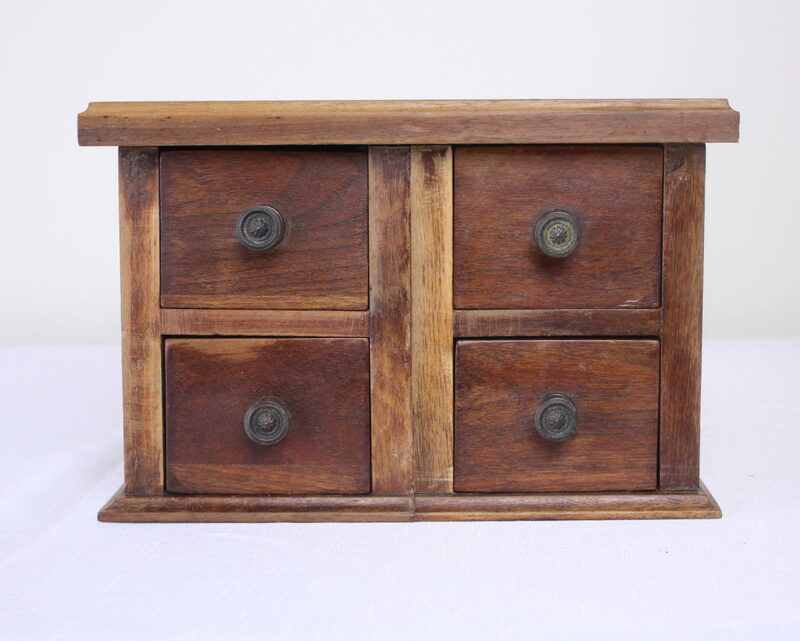 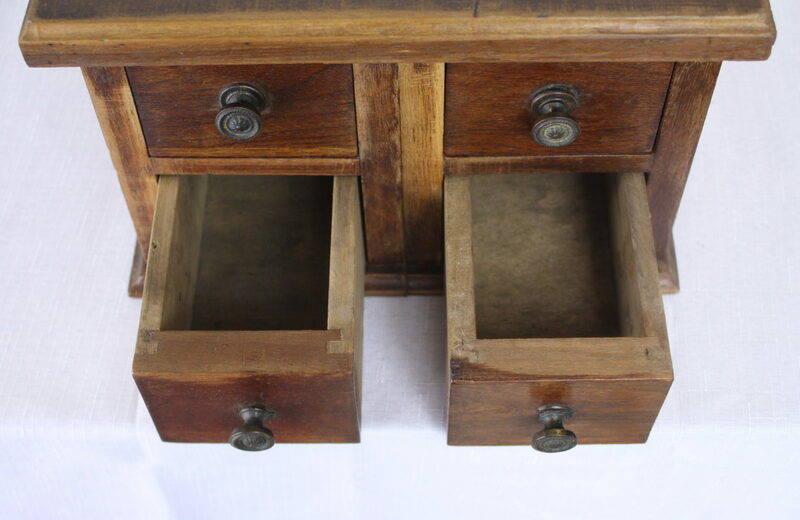 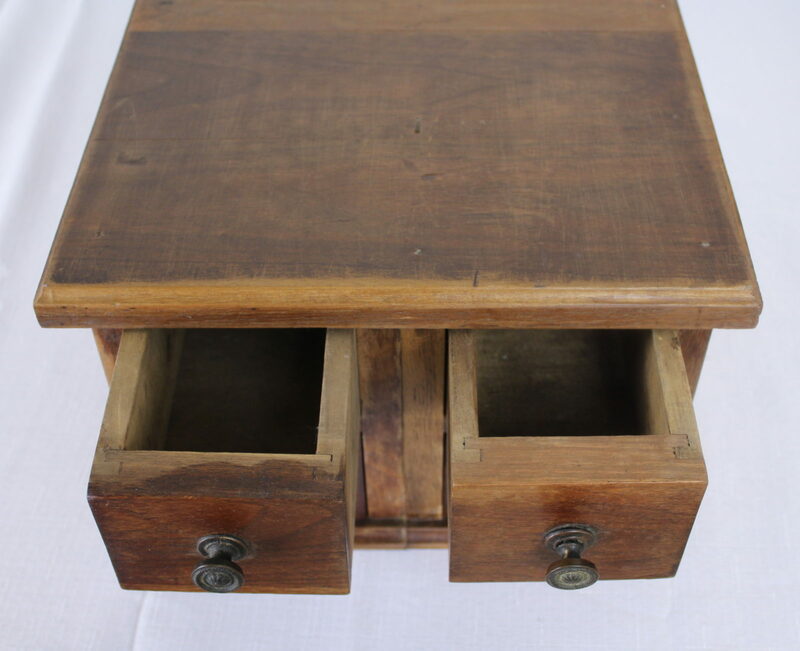 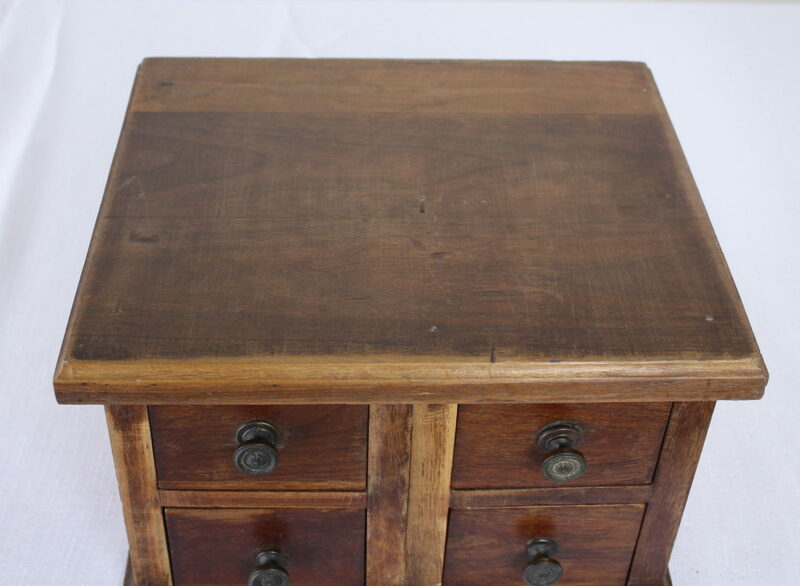 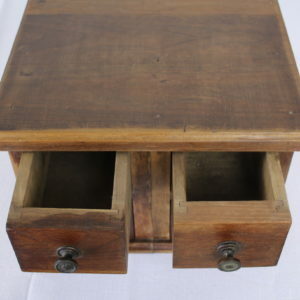 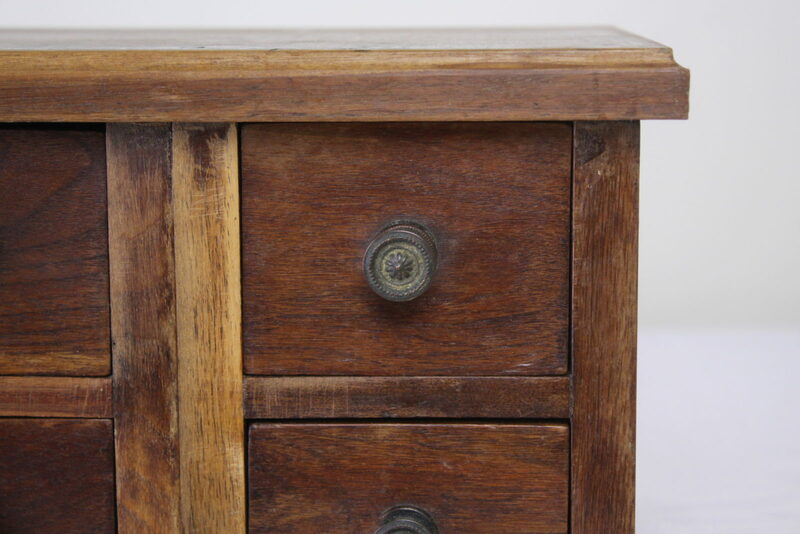 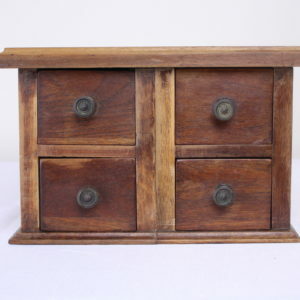 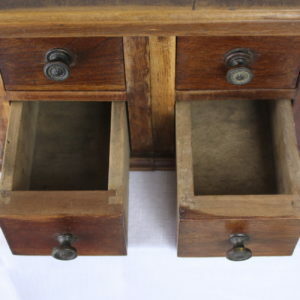 The four drawers open easily and close flush with the body of the piece. 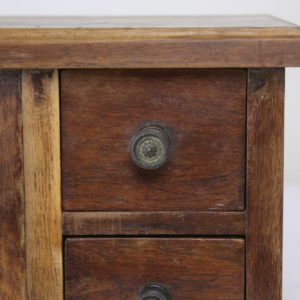 Small decorative metal knobs are slightly distressed. 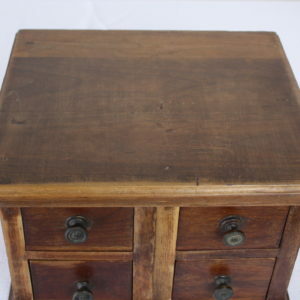 Handsome and quite heavy!